ECO "EFET33SC" Self-Propelled Weigh Scale Pallet Truck - MOBILE INDUSTRIES INC. :: Material Handling Tranport, Lift and Warehouse Equipment. 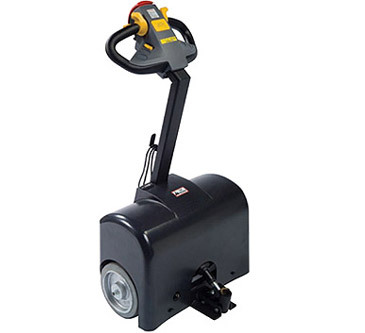 The EFET33SC is a Full-electric pallet truck designed as an economic alternative to more expensive fully electric models that also features a built-in Weigh Scale. 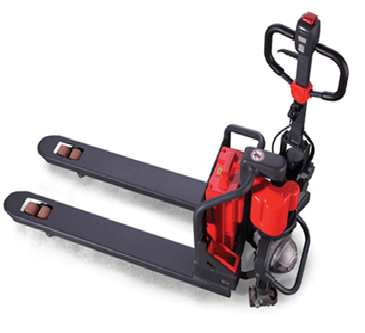 These units feature powered operation for lifting and lowering loads, and self-propelled movement for easy transporting of goods. The easy to read meter features a high-contract LCD display for better visibility, and “click-able” keypad. 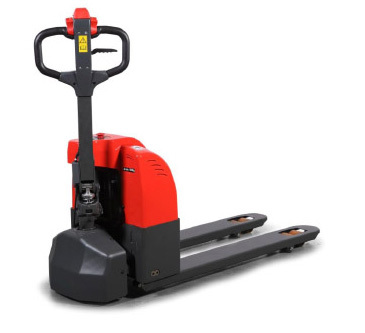 The compact and light design is suitable for a variety of light-duty applications in warehouses or similar locations. 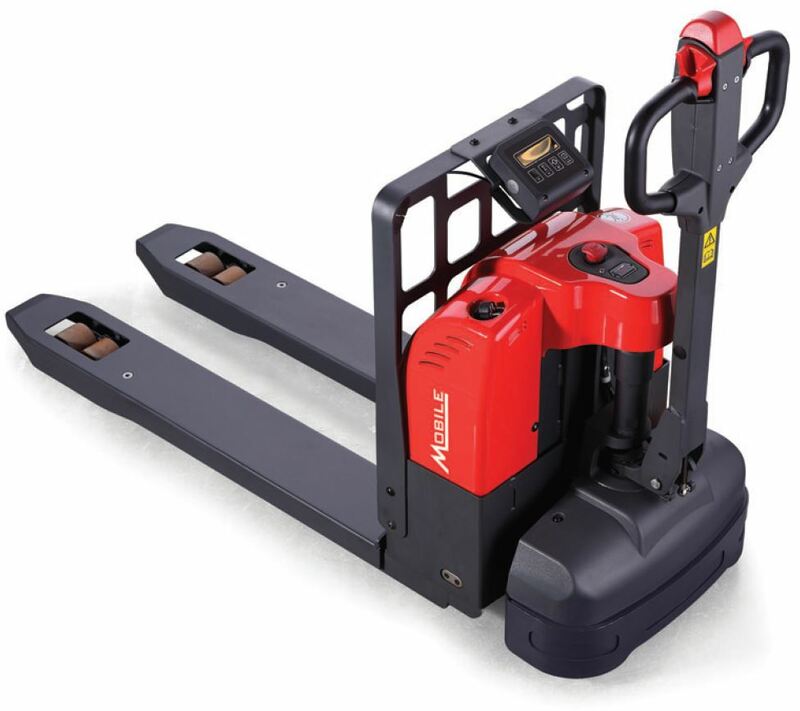 The EFET33SC features a built in charger for increased mobility and operating range, along with a battery discharge indicator that automatically cuts off the lift function when not in use. 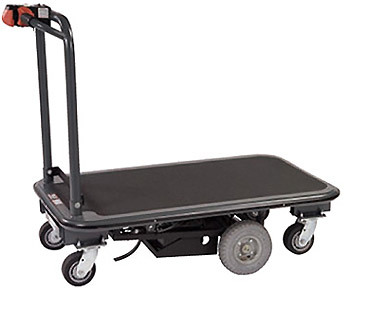 Scale functions: zero correction, gross / net weighing, total weight. Power supply: 4×1.5V AA batteries. Low battery warning + auto shut off function after 3 minutes.